When it comes to people, there are only about a dozen life stories in the whole world, and each archetype has its own obvious characteristics. Of course, everyone has individual traits and an individual story, but the generalizations are true, as everyone is inside the one global mind, and that global mind is segmented into clear demarcations. In looking at people, you'll soon see what aspects you should avoid, and you'll know how to help them if they ask you. You'll develop a new compassion for all the unnecessary struggle people go through. You can see that most struggle is easily fixed. Tyrants are angry, usually because they're scared. More often than not, they're tyrants because they were abused as kids. Sometimes they're angry because they feel they haven't gotten half the breaks in life they think they should have had. If their image is wrapped up in material things, or if it's trussed in a power trip, they will be threatened by anything that vaguely hints of a "reality check". The tyrant lashes out when cornered by the truth. Inflicting pain on others helps them feel less disempowered, less terrified by their monsters and dark memories. They desperately need to be loved, yet they live in an emotional desert because no one likes them; most are scared of them. That reinforces the tyrant's warped idea that the world is against them, and that making life hard for others is a way of experiencing power. Sometimes, if the tyrant is really powerful, they pull lesser, would-be tyrants around them, and a gang or a fascist outfit is born. The wounded child becomes the military or political tyrant, or the domineering father who lives vicariously through his children's performance in life to make up for his own failures. He won't think anything is ever good enough. Sometimes the tyrant is an emotionally tyrannical mother, or another female who's out of control and dominates and terrorizes through emotion and theatrics. Often he's a failure and a coward, and he needs others to march forward for him to fill the gap of his inadequacy. He places unreasonable demands on others, partly to dominate and control them, and partly in the vain attempt to bolster himself up to assist with his fears and insecurities. Meanwhile, he causes trouble, dominating, manipulating, and controlling those around him with negative emotion, violence, and threats. Tyrants are terrified of death. If you don't have a Ph.D. in psychology and lots of time to spare, stay away from tyrants. If you have to deal with tyrants, remember this: Even though they're desperately unhappy, they become arrogant and dogmatic through the exercise of their tyranny. You will rarely get a tyrant to see reason. They live in their own rabid empire. Tyrants like and expect abuse. "Plank on head" is the only language they understand. Don't negotiate, don't accommodate, and don't try to please them. The more you try to do for them, the more it affirms their power of manipulation. It's sad to say, but you should never cut the suckers any slack. It's bound to backfire. A tyrant is like the schoolyard bully who won't back off until he gets a punch on the nose. So the way to serve and help the tyrant is to be firm and not allow him to get away with it. He won't change until he experiences a big setback. The power that tyrants exert is too intoxicating, as it medicates their fear. So don't try to change them, and don't bother trying to keep them happy. It doesn't help. Just whack 'em in the head with the biggest psychological, contractual, emotional, or financial plank you've got. And when and if they get up, then whack ' em one more time for good measure. They expect it, and they'll respect you and cause less trouble. Over the years, I've tried love, kindness, and reason with this sort, but it rarely works unless some event has softened them up and made them open to change. If you can't just walk away, which of course is the best course of action, then engage them as little as possible and keep up with "plank on head" 'til they quit. Tyrants may sometimes be hard to spot, since they often cloud their tyranny by feigning reasonableness. But you can spot them from their expression, as it's hard to hide the anger and violence they project. Usually the tyrant takes his darkness to the grave. But then again, sometimes the Great Goodness that loves us and gives as all a second chance comes along. Some special event is created for the tyrant, usually a painful one, and he suddenly sees the error of his ways and changes. Sometimes after he undergoes a spiritual or religious conversion, he uses his power to campaign for love and goodness, and that's a wonderful thing. 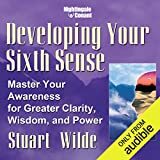 This article was excerpted from the book, Sixth Sense by Stuart Wilde. Reprinted with permission of the publisher, Hay House, P.O. Box 5100, Carlsbad, CA 92018. 800-654-5126. Visit their website at www.hayhouse.com. For more info, or to order this book. 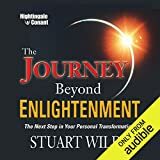 Author and lecturer Stuart Wilde is one of the real characters of the self-help, human potential movement. His style is humorous, controversial, poignant, and transformational. He has written 14 books, including those that make up the very successful Taos Quintet, which are considered classics in their genre. They are: Affirmations, The Force, Miracles, The Quickening, and The Trick to Money Is Having Some. Stuart's books have been translated into 12 languages. His latest book is Sixth Sense. More articles by Stuart Wilde. Can You Stop People From Projecting Thoughts Into Your Mind?